Japan is an incredibly diverse country with an education system that rivals the West in terms of quality and research output. Not only is Japan highly developed in technological and educational terms, it’s also a beautiful, vibrant country that anyone would enjoy living in. More than 100,000 international students study in Japan every year. Japanese Universities offer excellent academic standards and high-tech resources and facilities for students. The Japanese education system is incredibly advanced, and the government is focussed on encouraging high-quality higher education for everyone; foreign students and nationals alike. Japan has boomed, and is yet still booming – it has an increasingly fast-paced economy (it’s currently the world’s third-largest) and its social system has advanced at an incredible rate as a result. Practically speaking, this means the educational systems are brand new and streamlined, the infrastructure of the cities is advanced, and the entire country is safe, wealthy and welcoming. It’s a great place to move to even if you’re not studying. Japanese universities are arguably the most respected in Asia – a degree from any Japanese university is a sure sign of applied intelligence. Studying anywhere abroad looks excellent on a CV – it shows employers you’re a multi-dimensional person who’s had more life experience than your average student and is able to work well outside their comfort zone. You can study a degree in Japan at one of five different types of colleges: Colleges of Technology, Professional Training Colleges (‘senmom gakko’), Junior Colleges, Colleges and Universities and Graduate Schools. 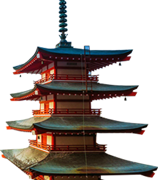 There is a wide range of courses in Japan to choose from, from language and undergraduate degrees in Japan to post-graduate, MBA’s and research study. There are over 700 universities in Japan, most of which are private. Education is highly regarded in Japan – it has a near-perfect literacy rate and English is a compulsory part of study in Japan. Japanese Universities have an excellent reputation around Asia and the world – 11 Japanese universities are ranked in the Times Higher Education Supplement Top 200 universities. For undergraduate university students you must be at least 17 and under 22 years of age and have completed 12 years of school education or have completed courses in a school comparable to a high school (includes prospective graduates). And if you are Japanese studies students you must be from 18 to 30 years old. Applicants must be enrolled as undergraduate students in faculties or schools which major in Japanese language or Japanese culture in a university outside Japan at the time when they come to Japan and must be enrolled in the home institution at the time when they return to their home countries. Students willing to enroll in college of technology You must be at least 17 and under 22 years of age and have completed school education comparable to a high school (a minimum of 11 years beginning in primary school) education (includes prospective graduates). We are updating shortly. Please come back soon.